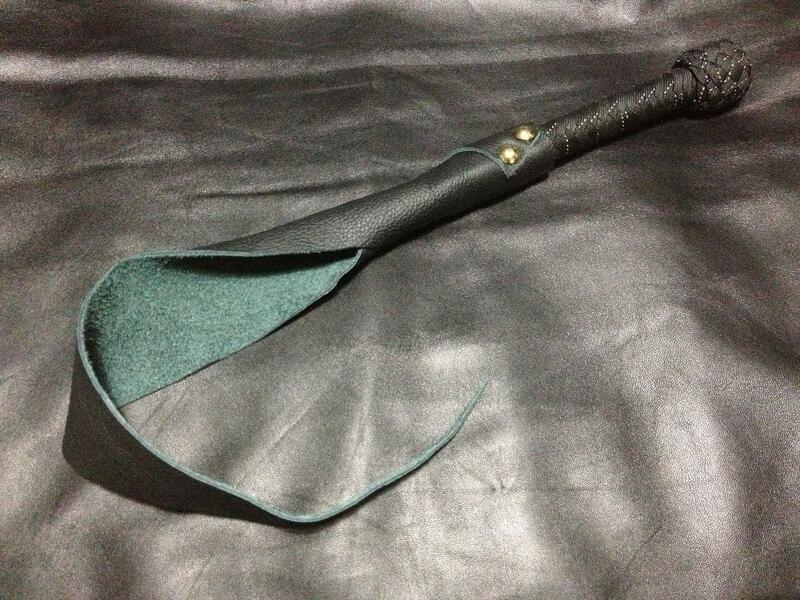 One of our small dragon tails with a 16 inch black leather lash and reflective cords in the handle. An ideal starter dragon, it’s small size makes it easy to use and suitable for play in a number of positions. Great for spanking! As with all dragons, it is a toy on the stingier end of the sensation spectrum but nonetheless it can use used to tantalise and tease as well as deliver delicious intensity.